A very warm welcome to French for Fun in the Stroud Valleys! If you like the idea of learning or improving your French in a small, sociable group with like-minded learners and a friendly teacher who won’t ever put you on the spot, then you should consider joining our classes. We offer enjoyable, stress-free lessons with no exams and no compulsory homework in relaxed but highly structured and supportive classes. Participants follow a high quality scheme written specifically with the adult learner in mind so they can feel informed, supported and at ease knowing roughly what to expect each week. We work in small groups (typically 4-8 learners) within which everyone can feel welcome and increasingly confident about speaking and learning French - whatever their previous experience. Emphasis is always on effective communication above all and an experienced teacher and regular feedback from learners allow the sessions to be tailored to the needs of each particular group. 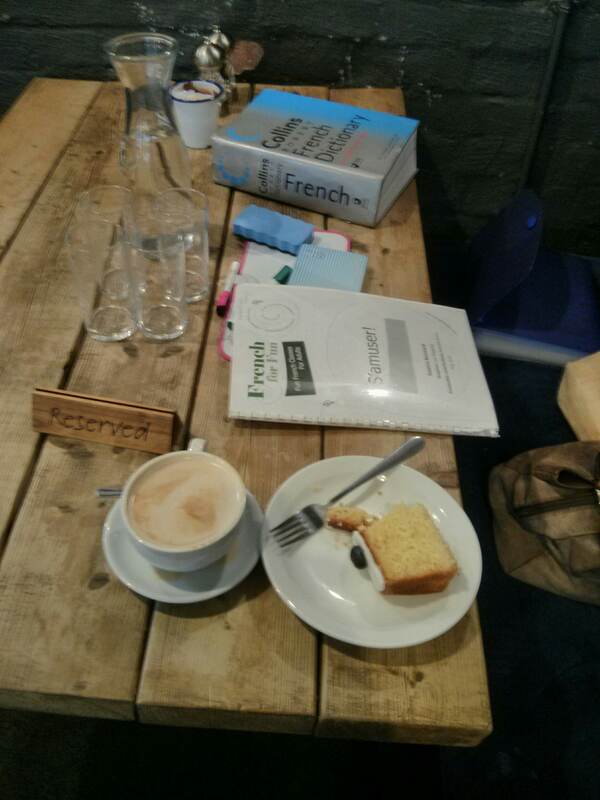 The Stroud classes are not only a great way to learn French but also to meet like-minded people in a relaxed environment whilst enjoying a cuppa (and maybe a slice of cake!). Do take a look at the courses we offer and although ten week terms (with a complimentary 11th week ) will generally start in October, Mid- January and May, don’t hesitate to contact me at any time as there’s often no problem with new learners joining a class where there are spaces available. A variety of levels are available, from absolute beginner through improvers up to intermediate, each using the relaxed, friendly and effective methodology of Language for Fun. If we don't currently offer what you need, get in touch to register interest - I'm always open to suggestions of levels and venues! If there's a group of four or more of you, we might even be able to start a class just for you! I'm Barbara and I have been teaching Modern Foreign Languages in a variety of settings throughout Gloucestershire since the late 1980s. I love language and I love to teach, so when I first became aware of Language for Fun I was immediately drawn to the concept. I love the very structured approach and the way that learners are made to feel comfortable and become confident in our relaxed and sociable sessions.